Water spraying vehicle with pesticide-spaying machine is also called Multipurpose pesticide spraying vehicle, garden landscaping multipurpose water spraying truck, pesticide spraying truck, etc. 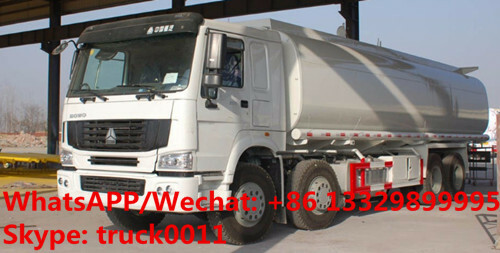 Multipurpose water tank truck, etc. And the landscaping multipurpose spraying truck adopts the leading technical wind to spray with high range, high efficiency, flexible etc. The trucks are equipped with spraying system, can move up and down, and the soup are pressured through water pump and the second time sputtered by the fan, etc. 1, All of our Trucks have 3C, ISO, BV approved. 2, All Manual books for 8x4 Heavy Water Tank Trucks in English or in French verse. 3,Some countries have engine after-sales service station. 4,If customers have special requirements, can arrange technicians abroad to after-sales maintenance services. 5.over 15 years focus on exporting trucks. More information, please feel free to contact with Ms. Anita. The hot sale line is 0086 13886878855 or send email to szhj9999@163.com. More pictures of HOWO water truck manufactured by Chengli Special Automobile Co., Ltd. as below. Main technical specifications of SINO TRUK HOWO 8*4 water tank truck manufactured by Chengli Special Automobile Co., Ltd. as below. Power 221 kw ( 300 hp ) optional 336 hp. With water pump, water cannon with working platform. Chengli Special Automobile Co., Ltd. is the leading manufacturer and supplier of special purpose vehicles in China. 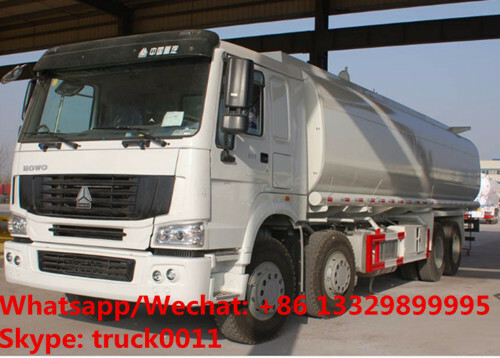 With many years' development, Chengli Special Atomobile Co., Ltd. could offer and sell dump truck, garbage truck, vacuum truck, fire truck, refrigerated truck, bulk feed truck, milk truck, lpg gas pressure vessels, fuel tank truck, water truck, truck with crane, mixer truck, high altitude operation truck, etc. More information, please feel free to contact with Ms. Anita. If you're interested in our products, please feel free to send email to szhj9999@163.com or call Anita by +86 13886878855.